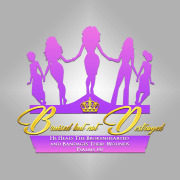 BBND's mission is to break the silence and raise awareness of abuse. We will support abuse victims and their families by providing the resources they need to escape, heal and rebuild. Through donations, sponsors and partners we are able to provide therapy, housing assistance, clothing, toiletries, food, toiletries, safety plans, and support. Our goal is to continue to raise awareness, educate, and empower. We have been able to bless many families rebuild. Would you recommend BRUISED BUT NOT DESTROYED INC?